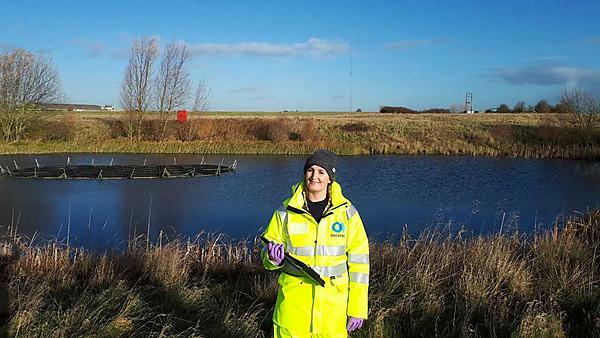 Since graduating from BSc (Hons) Environmental Science in 2017, Ellena Thomson has joined SOCOTEC as an Assistant Environmental Scientist in Southam, Warwickshire. "Plymouth’s environmental science course is held in high regard in the industry and has helped me get my foot in the door. My summer placement at the National Marine Aquarium helped me to develop my skills and gain many new ones. It put my degree into a ‘real-life’ perspective and really helped to develop my confidence and presentation skills. "My degree gave me the foundation and the tools I needed to get into the job market and begin my career. "The course was 100 per cent of the reason that I chose Plymouth to study; the accreditation of the course and its excellent reputation has helped me get a job so quickly." My time in Malaysia and the subsequent travel around south east Asia really opened my eyes to travel and the global environmental problems we face. Overseas fieldwork in Malaysia provides the opportunity to study terrestrial and marine environmental systems. "The careers and employability service helped me to develop my CV and practise my interview skills. I used LABplus and the maths drop-in throughout my degree for advice with my coursework which was incredibly helpful." LABplus is a unique open access laboratory and resource centre designed for students studying science and engineering courses. "Since graduation I have been interviewing for jobs and trying to find a company that suits my needs. I found that SOCOTEC valued their graduates and gave them a lot of assistance with graduate development and progression within the company. I have been an Assistant Environmental Scientist with the company for one month and I am using many of the skills I gained during my degree. "My career plans and aspirations have stayed the same, however they are now attainable. "So far, the most exciting thing has been travelling around the country meeting clients and putting all the skills I learned in my degree to use." Do you want to understand human environmental impact? Build solutions to real environmental issues, using knowledge and cutting edge practical skills. Develop an understanding of climate change, biodiversity, conservation and sustainability, in marine and terrestrial ecosystems. Applying the latest techniques in the laboratory and the field - both in the UK and overseas, you will graduate ready to shape the future of fields from ecosystem management to environmental monitoring.